Jeb Silsbury joined our program in 2012 and is currently working with our Future International, Junior and Senior gymnasts. Jeb was jointly awarded the 2017 Gymnastics Victoria International Coaching Team of the Year as well as the 2015 Gymnastics Australia International Development Coaching Team of the Year. He was awarded 2013 Australian International Development Coach of the Year as well as that same year, 2013 Victorian International Coaching Team of the Year. In 2014 Jeb was selected along with fellow WGC Coach Jessica Mason to participate in the Australian Institute of Sport’s (AIS) exclusive International Coaching Program at the 2014 Glasgow Commonwealth Games in August. 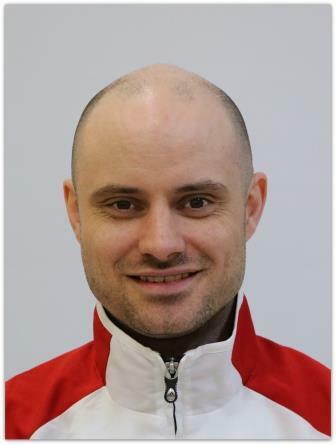 Jeb holds a Level 3 FIG coaching qualification (GA High Performance accreditation), has been coaching since 1991 and has extensive experience in the elite stream. Jeb has most recently had an athlete be selected onto the 2018 Pacific Rim Australian Team (winning a bronze medal in the bars event) and also had an athlete be the selected reserve for the 2018 Commonwealth Games Team. Jeb has also had gymnasts selected onto the 2010 World Championship Team, 2010 Commonwealth Games Team, and was selected as a Personal Coach for the 2018 Pacific Rim Team and on both the 2010 French World Cup and 2010 Pacific Rim Championships teams. Jeb has had gymnasts successfully represent Victoria at Australian Championships; as well as Australian Classic and Victorian Championship events. Part of Jeb’s coaching philosophy is to be a sound role model to his athletes, which in turn creates a positive and hard-working culture within the gymnastics environment.